ability of keeping on good terms with Congress; the Chief of Staff in office on the eve of World War II was to display more tact and understanding than had his predecessor of a quarter century earlier, and this was destined to redound to his and to the nation's great advantage. he wrote Mr. Baker, that "our organization here is so bound up with operations and training and supply and transportation of troops that it would be impossible to make it function if the control of our service of the rear were placed in Washington." Instead, General Pershing developed his own Services of Supply, A. E. F., under the highly competent Maj. Gen. J. G. Harbord who had been the Chief of Staff, A. E. F., before being given command of the Marine Brigade and later, the 2d Division. This efficient supply establishment provided a working liaison with Washington and also an experience that was to contribute mightily to the postwar planning of Staff and Army organization. General March's arguments, however, were so sound in principle, if not in immediate application to the 1918 emergency, that General Pershing himself in his invaluable constructive work in postwar Washington saw to it that the Chief of Staff should thereafter have the very powers that General March had asserted. It would appear that General Pershing was correct in his view as of that critical time and place, and that General March was correct in his view of the powers the Chief of Staff should have had long before, and thereafter did have. sions, G-1, Personnel and Administration; G-2, Intelligence; G-3, Operations; G-4, Supplies; and G-5, Training. It served as a model for the postwar General Staff in Washington, with changes suitable for peacetime whereby G-3 and G5 were combined, and a fifth division, War Plans, took on the new duties of planning against future wars. Regular Army and in attempts to place the blame for unpreparedness upon Congress . . . . Our unpreparedness did not come from lack of money, lack of soldiers, or lack of supplies. It came from lack of brains, or perhaps it would be fairer to say, lack of genius . . . . It was the completeness of the 1917 debacle, as clear to the civilian as to the military, that influenced the completeness of the 1920 change. In impressive contrast was the success attained by the A. E. F., and this contrast encouraged the adoption of the A. E. F. set-up, wartime creation though it was, as the model for a peacetime Staff in Washington. At the head would be General Pershing himself, followed by a succession of men who had been his trusted lieutenants in France. It was the experience of 1918 that dictated the very composition of the new General Staff. The whole Staff concept, for years to come, was that a new war would be a simulacrum of 1918.
preparedness. In these important respects the Harbord Board's recommendations, warmly supported by General Pershing and accepted by the Secretary, provided a basis for General Staff thinking for years to come. The Staff's setup, therefore, during almost the whole interval between World War I and World War II, can profitably be examined in order to understand how the Army did its planning. (a) A simplified chart, necessarily incomplete, for graphic representation of major relationships. More detailed relationships are shown variously in Charts 2, 3, and 4. See also Greenfield, Palmer, and Wiley, The Army Ground Forces Organization of Ground Combat Troops, Charts pages 14, 18, 118, 120, and Otto L. Nelson, Jr., National Security and the General Staff (Washington 1946), Charts 7, 8 ff. 1. For administrative matters and ground elements (less Armored Force). 2. For supply matters and Armored Force. (d) Included participation on joint Board, United States-Canadian Joint Board for Defense, co-operation with British Mission, Lend-Lease, and other agencies. (e) Included agencies of War Department reporting to the Chief of Staff directly or through the General Staff on administrative, supply, and service matters. 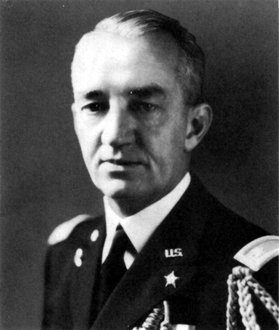 (f) The Chief of Staff was also Commanding General of the Field Forces. He exercised this command through GHQ, and, in the case of the Hawaiian and Philippine Departments, through the respective Department Commanders. (g) Included administrative and supply elements and elements of the field forces, air and ground, assigned as protective garrisons. (a) Each army included its assigned corps (with component divisions and corps troops) and army troops. (b) Each defense command in the continental United States included (as applicable) its component sectors, its harbor defense, its mobile ground troops (as assigned by army and corps), and its air force (when so directed by the War Department). The army commanders also served as commanding generals of the defense commands. Mobile troops for the defense commands were assigned from the armies, corps, and GHQ reserve. As applicable, defense commands were co-ordinated with naval coastal frontiers for co-operative action and joint defense operations. (c) Included ground and air units specifically assigned to GHQ by the War Department as a reserve. (d) Included special forces set up under GHQ by War Department direction for particular tasks and missions. (e) GHQ direct supervision was confined to the armored divisions and separate tank battalions of the Armored Force-it did not exercise control or supervision over organization, school or replacement matters, which were under the Chief of the Armored Force who reported to the War Department. (f) See also Chart 4. (a) A simplified chart showing only major relationships, with detail omitted. (b) Chief of Army Air Forces was also Deputy Chief of Staff for Air. He exercised his command of the Air Forces through his own Air Staff. (c) Commanded the tactical air forces in the continental United States. Air units sent to overseas establishments came under the command of the commander of the area to which they were assigned. (d) Each air force included its interceptor, bomber, air support, and air force base commands. (e) Specially organized for the support of armored forces. (f) Included air service areas and air depots. (g) Included procurement and development. (h) Included inspection, personnel, legal, medical, and fiscal affairs, buildings and grounds. (a) A simplified chart showing only major relationships, and omitting detail. (b) In the case of the Hawaiian and Philippine Departments, the Chief of Staff exercised command directly through the Department Commander, via his General Staff. WPD was the General Staff division primarily concerned with overseas departments. Command of the other establishments indicated was exercised through GHQ as of 1 December 1941. In a number of activities, such as supply, construction, etc, GHQ dealt through the General Staff divisions in the exercise of its control over overseas establishments. The departments, defense commands, and bases indicated included supply, administrative and tactical elements, including field force units for protective garrisons, both ground and air. (c) At this time the Philippine Department was part of a larger command, United States Army Forces in the Far East, Gen. Douglas MacArthur being Commanding General of both. (d) Activated in February 1941, to place the Panama Canal and Puerto Rican Departments and all bases protecting the approaches to the Panama Canal under a unified command. The command was placed under GHQ on 1 December 1941. The Caribbean Defense Command and its component organizations were co-ordinated with the naval sea frontiers for co-operative action and joint defense operations. (e) Organized as Puerto Rican Sector and Panama Sector for unified tactical defense within the Caribbean Defense Command-administered as departments for supply. Lt. Gen. Frank M. Andrews was Commanding General of both the Caribbean Defense Command and Panama Canal Department. (f) These bases included the United States Army establishments in the Bahamas, Trinidad, St. Lucia, Jamaica, Antigua, British Guiana, Surinam, Curacao, and Aruba. quotable, but the large powers of the Chief of Staff over the entire Army were not openly questioned thereafter. The Chief of Staff was the military chief of the War Department, but not its highest authority. Over him was the civilian Secretary of War who, in the wording of Army Regulations of that time, "directly represents the President . . .; his acts are the President's acts, and his directions and orders are the President's directions and orders." 22 The Secretary's approval was required on all matters of Army policy and in his name departmental decisions were made and actions taken. To both the President and the Secretary of War the Chief of Staff was adviser (President Roosevelt's executive order of 5 July 1939 provided immediate contact between White House and the military chiefs of Army and Navy in the realms of "strategy, tactics and operations"). 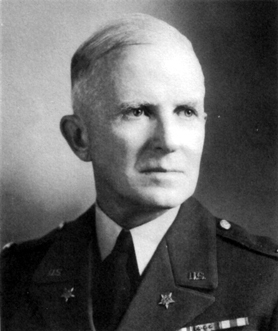 By long established custom, he was adviser also to the Congressional committees which naturally called upon the Army's principal figures for advice on legislative matters affecting the Army, and while General Marshall was Chief of Staff this relationship was particularly close. Similarly he was a principal Army spokesman in conferences with the State Department and other branches of government at need. 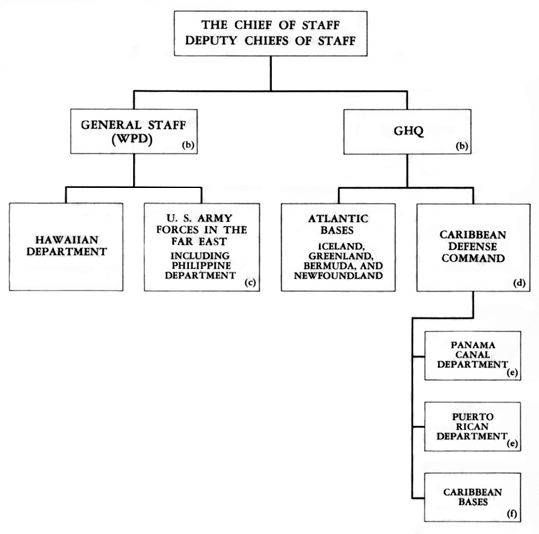 The graphic charts (1-4) suggest rather than portray the manner in which the Chief of Staffs large responsibilities were delegated throughout these various categories and areas of command. The immense labors that he performed in person are not as readily portrayed by charts as by a record of the major events in which he was a principal actor. The mechanisms whereby the Office of the Chief of Staff functioned, however, are discernible in its composition and in the recital of responsibilities allotted to its several elements. to the Deputy's post one of the "88 other officers" to which the General Staff was limited. 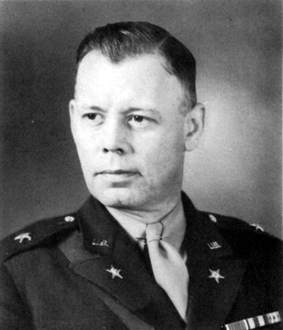 General Craig, then Chief of Staff, supported the recommendation, likewise stressing his reluctance "to assign an officer to the position from among the limited number authorized for the performance of the detailed work of the Staff," and in July 1939 Congress provided legal authority for the Deputy's appointment. The administrative work of 1940 became so overpowering as to exceed the capacity of the existing Deputy Chief of Staff, and not only was a second deputy created but, in an attempt to meet the special needs of the growing air establishment, an additional acting deputy was added in the person of the Chief of the Air Corps. 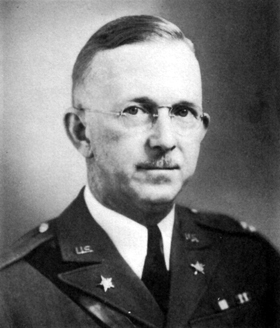 General Marshall defined the fields of activity for these three so as to grant to one deputy concern over studies and papers on all personnel matters (except in air and armored components); training, organization, and operations of ground components (except armor); all other Staff matters not allotted the other deputies. 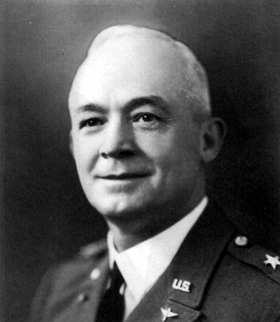 The other deputy was jointly responsible in personnel matters for the Armored Force; he was solely responsible for studies and papers on training, organization, and operations of armor and for those on construction, maintenance and supply (except air), transportation, land acquisition, and hospitalization; for a time he handled Air Corps co-ordination too. Procurement, classification, assignment, promotion, transfer, retirement, and discharge of all personnel of the Army of the United States (which includes Regular Army, National Guard, Organized Reserves, Officers' Reserve Corps and Enlisted Reserve Corps). Replacements of personnel (conforming to G-3 priorities). Army Regulations, uniforms, etc. ; decorations. Religion, recreation, morale work (by agreement with G-3), Red Cross, and similar agencies. Liaison with other intelligence agencies. Public relations and censorship 32 (both of which were to be elsewhere allotted before or during World War II). 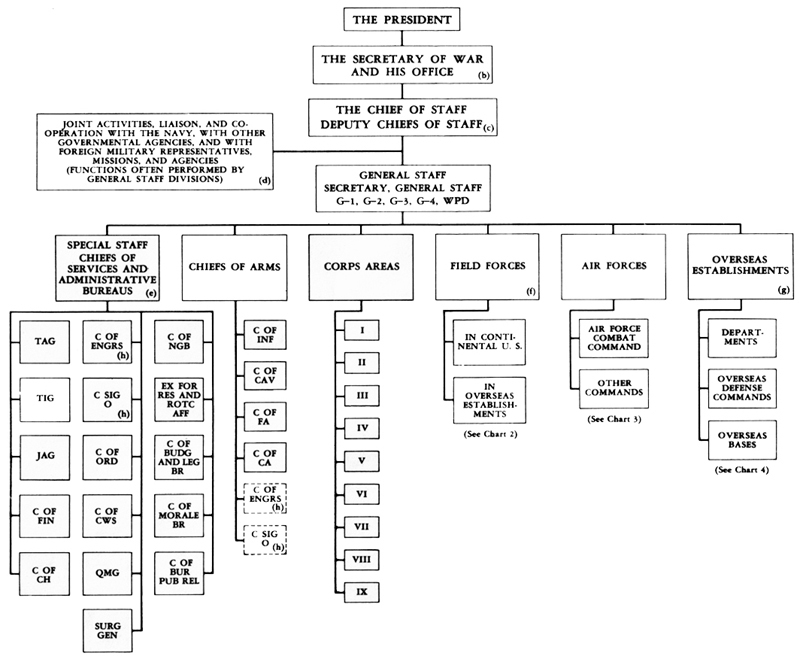 Organization of all branches of the Army of the United States. Assignment of units to higher organizations. Tables of allowance and equipment so far as related to major items. Distribution and training of all units. Military schools and military training in civilian institutions. Consultation with G-4 and WPD on types of equipment. Priorities in assigning replacements and equipment. Basic supply plans to enable the supply arms and services to prepare their own detailed plans. Distribution, storage, and issue of supplies. Tables of allowance and equipment (in concert with G-3 and WPD). Procurement of real estate. Construction and maintenance of buildings. Distribution of noncombat troops (in concert with G-3). Plans for use in the theater of war of military forces, separately or in connection with the naval forces, in the national defense. Location and armament of land and coast fortifications. Estimate of forces required and the times needed. Consultation with Operations, Training and Supply Divisions on major items of equipment. was Chief of WPD in 1939 he remarked: "There is not an activity of the War Department . . . that does not tie in with the work of the Division." 38 It is not surprising therefore to find a maximum of the larger problems of the Army, even before Pearl Harbor, being referred by the Chief of Staff to WPD for study, or being invited to the Chief of Staff's attention by the current head of WPD. The routine coordination of the several divisions was one of the functions of the Deputy Chief of Staff, who for this and other purposes made use of a General Council made up of himself, the Assistant Chiefs, and the executive officer for the Assistant Secretary. When the discussion was to include matters of interest to The Adjutant General and the chiefs of arms and services, temporary membership in the General Council was extended to include them. It is apparent both from the all-inclusive language defining the Chief of Staff's powers, and from the language reciting the detailed functions of his advisers and assistants, that by this written authority as well as by growing tradition the Chief of Staff was accountable in some degree for almost everything that was done or not done by the Army. His enormous responsibilities, however, were not balanced by the power to fulfill them, and could not be. His policy recommendations had to meet the approval of his superiors, the Secretary and the President. His plans had to be implemented by Congressional authorization and appropriation, and it will be seen that even on the brink of war these requisites were not always fulfilled. from the record, just as comparable aid is indeterminable in the management of any large industrial enterprise. A general superintendent who is in theory responsible for all operations gives oral orders to his juniors and receives from them supplemental or corrective advice, likewise oral, which time may show to have been the factor determining success or failure. Yet the record of these communications, too, is nonexistent. This constant interchange of instruction and advice within the General Staff and among the arms and branches is not fully evident in the written records of Staff activities. Examination may disclose, for instance, without related papers, a momentous recommendation signed by a chief of section that was forwarded intact to the Navy prior to Joint Board consideration, or to the Secretary of War and thence to the President leading to its eventual enunciation as a military policy. That single document can be misleading as to responsibility, and will remain so until there is access to related papers that would disclose a succession of previous events. To illustrate, the matter at issue can have originated with an unnamed officer in a subsection and risen by stages to the section chief's attention. Or it can have originated with the Chief of Staff himself or with higher authority, by whom it was passed down to the section chief for study and recommendation, and by him passed further down to the appropriate subsection. Whatever the document's appearance, it certainly did not burst suddenly from the brain of the signer of record. Rather, it normally was the result of days or weeks of thought by a number of officers in a number of offices. In a fairly typical case, a subject of military concern makes its first appearance in Staff papers as a memorandum or a note of an oral communication, sometimes direct from the Chief of Staff, more often from the Deputy Chief or from The Adjutant General, or from the Secretary of the General Staff, one of whose duties was the informal "farming out" to appropriate Staff sections of such ideas as the Chief of Staff wished explored by those specialists. Frequently the suggestion was given orally at a routine conference or at an impromptu meeting with no precise instructions and apparently with no clear purpose beyond a desire to have a broad subject explored for its military possibilities. bringing a subject to the general attention of the Staff; some of these inquiries appear to have risen previously in the mind of the Chief of Staff or to have been brought to his attention from outside his establishment. Where the record of a study is complete, it becomes obvious that, once the original suggestion was fully explored within one of the Staff or service sections, it was immediately exposed to criticism and correction by others. It moved up the ladder for approval and down for revision. It was referred to conferences for concurrence and in cases of nonconcurrence (which were frequent) it was sent back for further study. The typical routine of such a study was prolonged, but it was thorough, and it was designed to delay the making of a final, formal recommendation until all available objections to it had been heard and overcome. If the subject was important enough to justify the close attention of the Chief of Staff, the papers usually moved with celerity. It is for this reason that the activities of the Chief of Staff as an individual are not clearly delineated in the record, but invisibly overflow the notations, infinitely influenced from above and below. The actual origin of a fully considered proposal is usually beyond determination even by those who participated in making it. The thing in question was done (or left undone) not by an individual but by a multiminded unity known as the Office of the Chief of Staff, and often one can focus responsibility no more closely than that. For the final decision the Chief of Staff in person as signing authority must reasonably be held accountable, but with the observer's awareness that the Chief of Staffs actual responsibility often was shared with a great many others. Numberless suggestive illustrations might be mentioned. 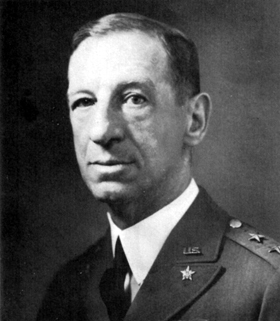 Thus, in noting General Marshall's recurring prewar efforts to reconcile the views of the Ground Forces and Air Forces, 40 and to provide the latter with what can be called controlled autonomy, which was among his most significant achievements, one must observe that in this period his Assistant Chief of Staff for Operations (G-3) was Maj. Gen. (later Lt. Gen.) Frank M. Andrews, not only a distinguished aviator but the first aviator to hold that high post in the Army's General Staff. 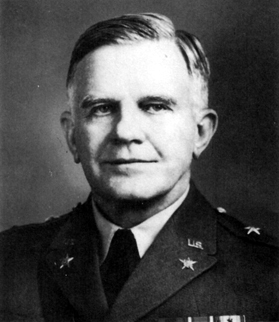 General Andrews, whose death in an airplane accident early in the war ended a career of large accomplishment and larger promise, was a proved believer in co-operation; the influence of such an adviser on such an issue can hardly have been negligible, however fragmentary are the written records. General Marshall's frequent contacts with General Embick (whose capacities had qualified him as interim consultant for Mr. Roosevelt on a notable occasion dealt with in Chapter XII) may be presumed to have had an influence transcending that which appears in the record. 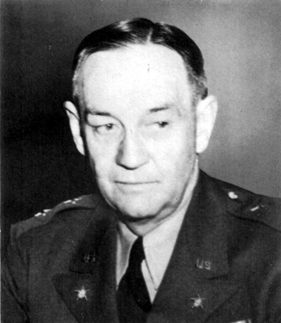 The same can be surmised of General Strong with whom as chief of WPD and later of Intelligence there were numberless discussions; of General McNair of the 1940-42 GHQ; of Maj. Gen. Henry H. Arnold of the Air Forces; of numerous other frequently seen authorities of Staff or Line. But the responsibility for a judgment reached, a policy fixed, an action ordered, a critical step taken (or not taken) on time and in the right direction often can be attributed only to the widely inclusive Office of the Chief of Staff, where official responsibility lodges for the bold decision and the large achievement or, equally, for the dubious one, the delay and the undisguisable mistake. With the increasing complexity of warfare, the things that the high command of a large army has to know, or know about, have taken on great number and great variety. They involve not only basic military matters of organization and equipment and tactics and strategy, but technical, mechanical, political, economic, scientific, and psychological factors, in the United States and abroad, in degrees that call for specialized knowledge beyond the powers of one man. They involve also administrative machinery in numerous echelons, and there is a resultant problem of how the essential information can be so strained and channeled as to reach the high command in the desired form and amount, and also how the essential controls are to be exercised so as to attain maximum speed and efficiency. A considerable administrative betterment in the original organization had been effected in 1926 when the Assistant Secretary's office initiated a study of long-range equipment needs that would permit standardizing (by the General Staff), cooperation with the Navy in corresponding effort, and resultant planning of procurement (by the Assistant Secretary's office) on a much more efficient basis than by the earlier system of divided responsibility.41 It was a prolonged struggle but it was rewarded in 1937 by the completion of the Protective Mobilization Plan which-although not sufficiently projected into the future-at least set forth the nation's initial defense requirements as then seen, in terms of manpower and equipment and organization. The PMP force was a long time coming, but the objective now was defined and, even though it was not quickly attained, the General Staff's planning thus early was of incalculable value in assuring its ultimate attainment. Those phases of planning which called for coordination with the Navy were carried on through mechanisms that were set up as continuing bodies but that, not unnaturally, functioned chiefly when there was something specific to do. The Joint Army and Navy Board, usually referred to as the Joint Board, was the high instrument of this coordination and so remained until in 1942 it was superseded, in practical effect, by the joint Chiefs of Staff. It was originally created in 1903 by agreement of the Secretaries of War and Navy 42 but it had suspended meetings, oddly, in 1913 and 1914 when World War I was about to start; it renewed its meetings in October 1915, and was formally reconstituted by new orders at the end of that war.43 In its new creation the Chief of Staff, Chief of G-3, and Chief of WPD made up the Army component; their colleagues were the Chief of Naval Operations, the Assistant Chief, and the Director of Navy's WPD. Later the Army's G-3 was replaced on the board by the Deputy Chief of Staff. Both Army and Navy eventually added their chief air officers as representatives from their own air arms.44 Matters of munitions supply requiring coordination to prevent wasteful duplication and competition were handled by the Army and Navy Munitions Board operating with a civilian chairman. Matters of co-ordinated policy and planning were the functions of the Joint Board. It was consultative, and advisory to the Commander in Chief, not executive, and positive action came only when it was required. Under these circumstances it can be seen that there was not always unanimity-indeed that for such purposes unanimity was not necessarily a virtue; the power of decision was the President's. superiors, threshed out difficulties and came to tentative agreements which then, if necessary, could be laid before the joint Board for formal approval. In practice, the "serial" (or subject under consideration) on which agreement had been reached was then "canceled" by the board as finished business with no discussion beyond that which had already taken place in the committee. Points on which the committee could not agree were laid before the Joint Board, sometimes settled there, sometimes returned to the committee for further study under new instructions, sometimes laid before the President for decision. In May 1941 the planning chiefs' assistants were assigned to a "Joint Strategical Committee" to thresh out details of joint war and operating plans for their chiefs, and in much the same manner come to agreement on a program for submission to the Planning Committee and ultimately to the board. Other planning matters normally were referred to ad hoc subcommittees of the Planning Committee and similarly expedited. defense installations by the Army. 47 This is a fairly typical recital of the board agenda at the meetings of the period. The discussions produced agreement on a great many issues. They did not result in action on all issues, nor did the discussions of the Joint Chiefs of Staff and its created committees, which in the 1942 reorganization took over the work of the joint Board and its elements and continued to function throughout the war by unanimity or not at all. Was the Prewar Staff Effective? That the Army's Staff and Command organization of 1921, as revised piecemeal in the next twenty years, was still unsuited to great emergency is pointed out bluntly by General Nelson.48 He lists sixty-one separate officials of the Army and War Department who in 1941 had theoretical access to the Chief of Staff; in addition there were necessary and desirable contacts of frequent occurrence with the Navy (through the Joint Board), with the State and Treasury Departments, with the White House, with Congressional committees and individual Congressmen, with scientists and other nonpolitical visitors, and with certain foreign military attaches. Such numerous contacts by one man were impossible of maintenance, and the Staff of prewar days took over many of the Chief's obligations. Nevertheless the unwieldiness of the arrangement was one of the reasons cited for the complete Army and Staff reorganization, studied long before Pearl Harbor and finally effected in March 1942.
for concurrence by other sections affected. Exceptions to this routine were made only in emergency, and as late as June 1941 WPD complained that there was no normal machinery for "prompt decision and expeditious action" upon an issue.49 A General Staff which had passed 600 members in 1941 and which in the interest of the rapidly expanding field units had to make swift and binding decisions of a command nature, could not limit itself to "planning, policy and supervision" without serious sacrifice of efficiency in a time of national crisis. Accordingly, the decisions were made, with or without clearly stated authority. In General Nelson's words: "The War Department General Staff had to operate in 1941-indeed every section of it operated." 50 Had the authority been publicly questioned, which it was not, the defense of this untraditional action would probably have been found in the language of Army Regulations, I, 4, previously quoted, barring the Staff only from "administrative duties for which an agency exists"; patently there was no such agency visible. All aspects of military planning are mutually dependent, supply upon troop raising and troop raising upon supply, and both upon the nation's civilian economy in the several aspects of its manpower, industry, raw materials, transportation, power, and finance. Planning is useful only as it is informed and realistic and thorough and continuous. This is the basis of every planning system, and supposedly of performance too. The extent of the General Staff's responsibilities was clear enough. The pattern of the divisions' functions was explicit, and so was the plan for coordination and for direction. The method of educating industry, the design for industrial mobilization (responsibility for which the Assistant Secretary of War assumed under the 1920 Defense Act), the means of raising manpower, and the recruitment of skills had been considered long before the war, approved, and methodically set down in type. arguments had failed to accomplish in years. It would do so at heavy cost in dollars and with errors in judgment which possibly, but not certainly, might have been avoided had there still been time for careful consideration of alternatives. The record shows the errors; it does not provide sure evidence that the alternatives would have been more profitable.